Rome is full of amazing parks and gardens that contrast its architectural buildings. Despite the fact that there are almost 3 million people living in the Eternal City, you will always find an opportunity to take a rest in one of the spacious spots full of trees, flowers and peaceful ambiance. Moreover, Rome is one of the greenest cities in all of Europe. Undoubtedly, the Villa Borghese has the most famous park in Rome and is an excellent choice for travelers interested in art. 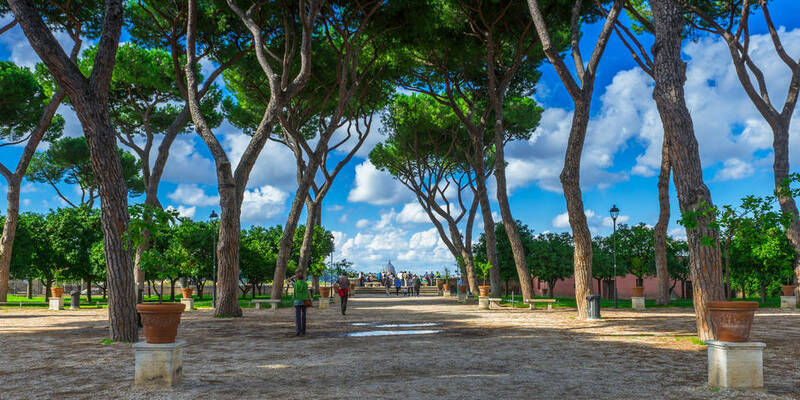 There is a green space of 200 acres around the Galleria Borghese. The gardens have the naturalistic English manner and there you will find many statues, lakes, fountains and small museums. 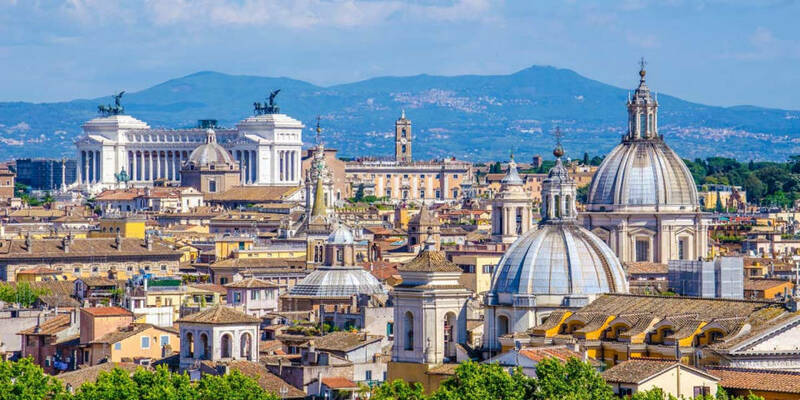 Some of the most popular attractions of the central villa are: the Piazza di Siena horse track, a little lake with an Ionic temple where you can rent a boat, and the Pincio terrace with a panoramic view onto Piazza del Popolo. 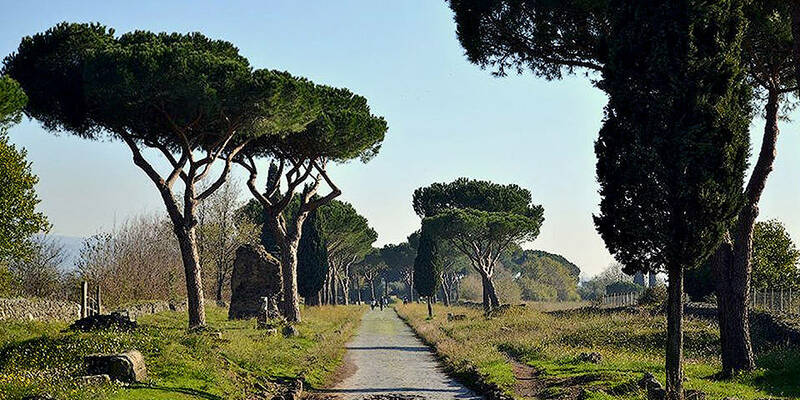 Appia Antica Park, located behind Circus Maximus on one of the oldest roads used in Rome even in Napoleonic times. It is 3400 acre park surrounded by history. There is a mix of gardens, aqueducts, tombs and underground Catacombs with historical spirit and peaceful atmosphere. You can easily spend there the whole day, especially during sunny weather. Opening hours: 9.30 a.m. – 6.30 p.m. The Vatican Gardens date back to 1279 when Pope Nicholas III moved the location of the papal residence from the Lateran Palace to the Vatican. Undoubtedly, this is one of the most beautiful and peaceful spots of the Eternal City. There are several landscape terraces, amazing fountains and glimpses of Michelangelo’s dome. 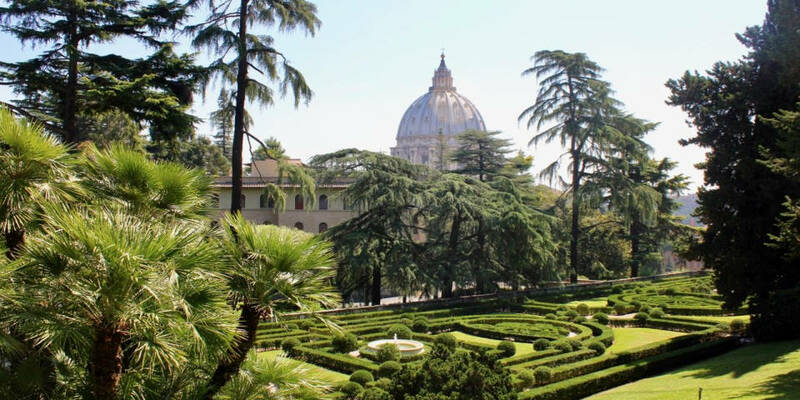 There are actually two “Vatican Gardens.” You can visit the gardens not only right behind St. Peter’s Basilica, but also at the Papal summer residence at Castel Gandolfo (half an hour outside Rome). Villa Ada is green and peaceful park with a bike rental service, a lake, a café, and an annual live music festival called “Roma Incontra Il Mondo”. 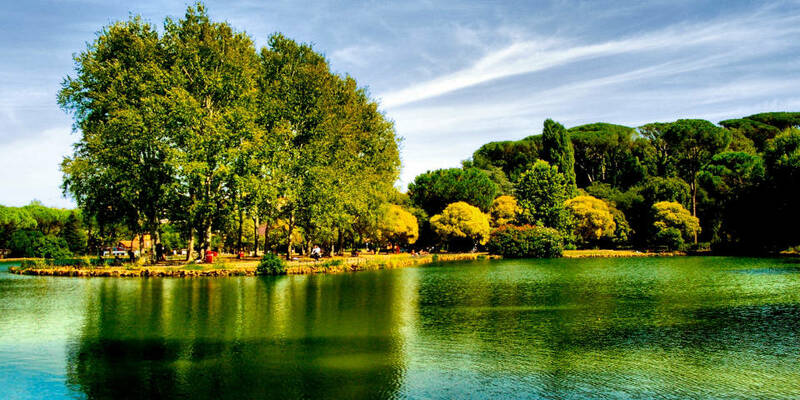 Moreover, this is the second largest park in Rome with 450 acres and rich flora and fauna. There are amazing thriving cypresses, dwarf palm trees, pines, beautiful swans and turtles. The Orange Garden (Giardino degli Aranci) is located on the Aventine hill. This is charming spot with many orange trees and amazing views of Rome. Daily, there are many tourists who come to enjoy amazing ambiance of the garden. Moreover, usually there are street musicians, whose music makes the atmosphere of the spot even more peaceful and romantic. The Gianicolo hill is one of the most romantic spots of the city. There is a belief that if a guy invites his second half to the date on this hill, most probably he is going to make a marriage proposal. The view from the top is breathtaking, especially if you come at sunset. 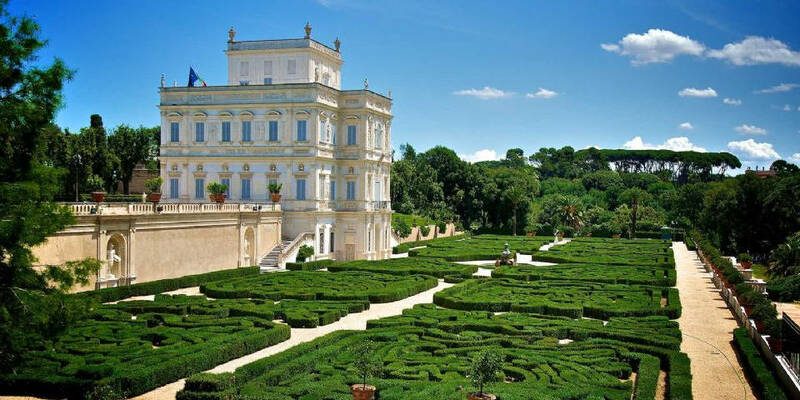 Villa Torlonia is famous not just for its gardens, but also for its impressive architecture. 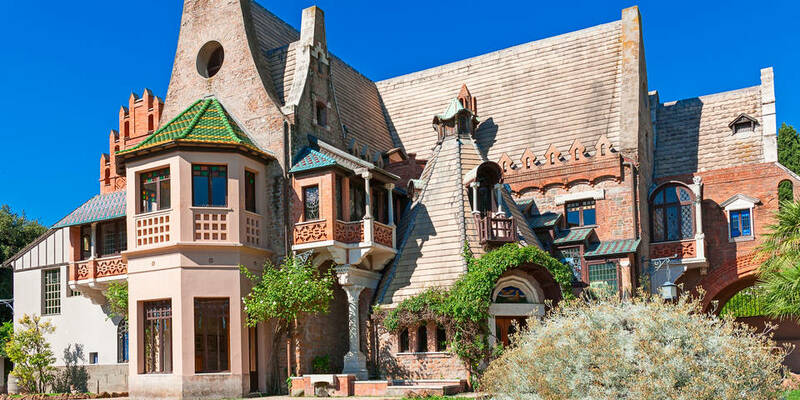 There are three former residences: Casino Nobile, designed by Giuseppe Valadier; Casina delle Civette (The House of The Owls), which represents gothic and art-nouveau styles; Casino dei Principi, where Mussolini once lived. Each residence has an exhibition spaces for the Musei di Villa Di Torlonia and you can admire sculptures and paintings from antiquity to the Art Nouveau movement. Opening hours of the bunker (created by Mussolini, 1942-1943) of Villa Torlonia: Saturday and Sunday; 9.30 a.m. – 5 p.m. Opening hours of The House of the owls: Tuesday – Sunday; 9 a.m. – 7 p.m. 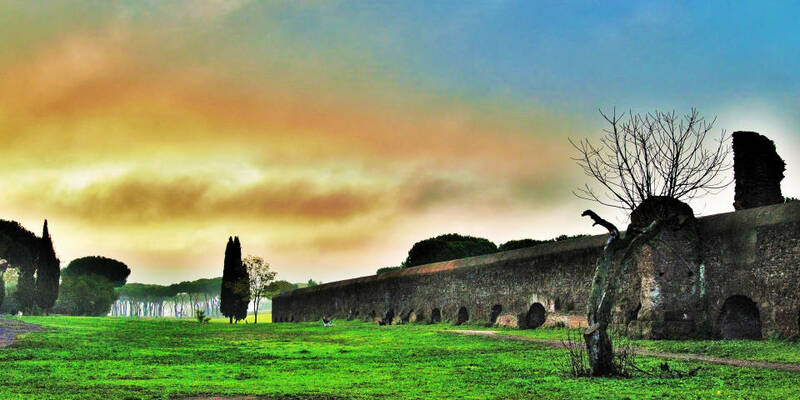 The Park of the Aqueducts is located near the ancient Appian Way and contains part of the Acqua Claudia. Constructed between 38 – 52 AD, Acqua Clauda is considered of the greatest aqueducts of ancient Rome. 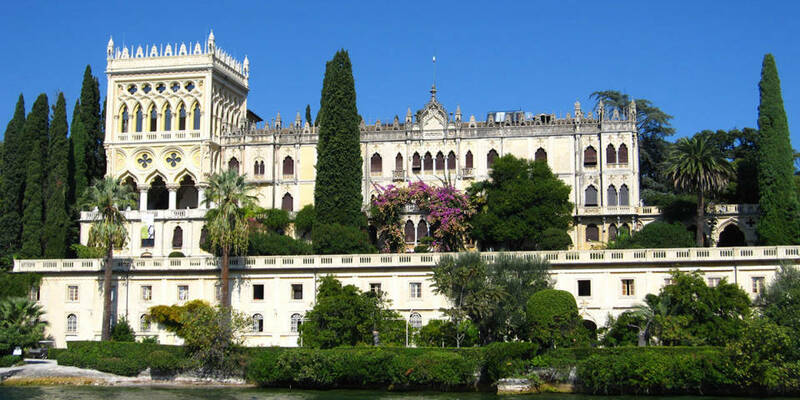 Moreover, the park has been featured in many famous Italian films as La Dolce Vita and La Grande Bellezza. This park is an excellent option to visit for a picnic or to arrange a photo session. 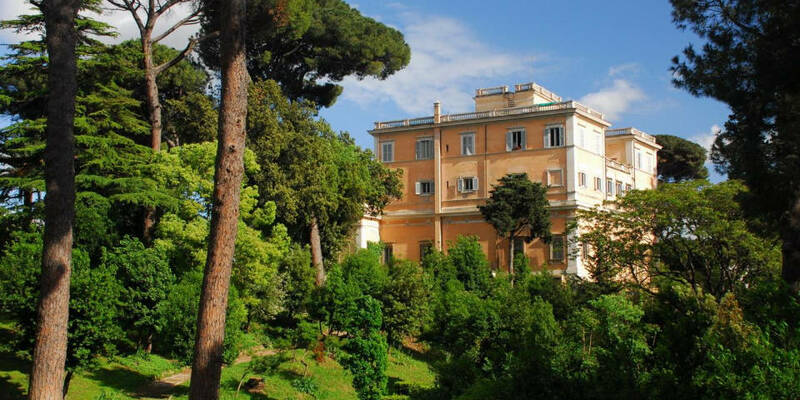 Villa Celimontana is one of Rome’s most charming and hidden public gardens. Located on the Caelian (Celio) hill, the villa was acquired by the Mattei family in the sixteenth century and converted into gardens and a building with family’s collections of art and entertaining programs. The spot is peaceful and beautiful, full of greenery and pieces of ancient carved marble. Villa Celimontana is amazing for a picnic and famous for wedding photo-shoot circuit. 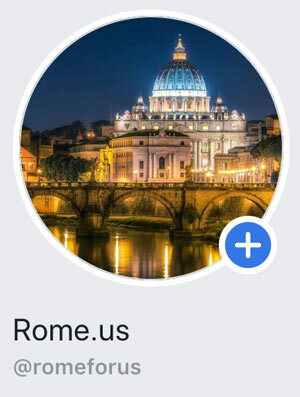 Even if Rome is one of the most ancient cities in the world and considered the most touristic city, there are many places with peaceful ambiance and greenery. Don’t miss an opportunity to visit one of Roman parks or gardens during your visit to the Eternal City!